If you're experiencing PC slowdown, freezups, or virus/spyware issues, PC Doctor can provide you with a complete checkup including cleanup, maintenance and optimization . Finally, get your PC the antibiotics it needs to run in tip-top shape - just like when it was new! Is your computer sloooooow? Having a problem with your computer? We provide both On-Site or Remote Assistance services to get your computer running in peak performance. When your hardware or software fails, I can ensure PC Doctor will get you back up and running quickly and conveniently. Customer support is top priority at PC Doctor and we provide phone and email support before and after a repair. I strive for your complete satisfaction. Thank you for the opportunity to provide you with the absolute best computer repair solutions and services. Enjoy your visit and have a wonderful day! Nov 16, 2014 PS3 EZ Chill Black Friday Sale! 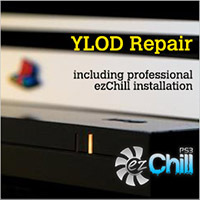 Prevent YLOD and overheating failure with the PS3 EZ Chill cooling fan add-on! This version uses a hidden externally controlled module to adjust fan speed. Is your Sony Playstation 3 acting strangely and you're not sure why? Whether it suffers from the YLOD (Yellow Light of Death), disc read errors, or any other problems, let the experts at FixMyPCDoctor bring your console back to life with our PS3 repair service. We work quickly and diligently, so you're sure to be gaming on your PS3 before you know it. Repair Service now includes EZ Chill Fan Mod to prevent future overheating problems. 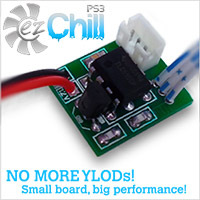 Don't have the time or tools to install the PS3 EZ Chill Fan Mod yourself? Order our quick and efficient Pro Installation Service and never worry about your PS3 overheating again! Is your computer driving you insane? Programs taking forever to load? Virus / Popup / Spyware problems? Slow Internet? Software errors? 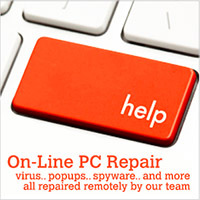 We can fix all these issues and more using our Remote Assistance PC Repair Services. Using remote access, our technicians can now repair your computer using the internet. Have your computer repaired to your satisfaction without leaving your home or office! Extremely convenient and efficient.